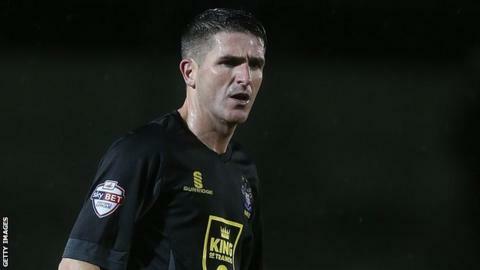 Crewe Alexandra have held talks with veteran striker Ryan Lowe about extending his stay at the League One club, reports BBC Radio Stoke. The 37-year-old is at Gresty Road on loan from Bury and is due to return to his parent club after the Alex's game with Coventry on 2 January. "He's good around the place and good with the younger players," Crewe boss Steve Davis told BBC Radio Stoke. "They know that they're playing with a lad who's had a really good career." Lowe began his league career at Shrewsbury and spent two years with Crewe between 2006 and 2008. After returning to the Railwaymen in November, Lowe has scored twice in four appearances. Crewe, who travel to Rochdale on Boxing Day, are currently 23rd in League One but are only two points from safety.